This prophetic verse foretold the coming of the messiah Jesus Christ to Earth by Prophet Hosea (Hosea 13:14) as referred to by Apostle Paul in his writings to the Corinthians and Christ’s ultimate sacrifice on the cross and eventual resurrection from death, so that good would triumph over evil. The purpose of Christ’s birth, death and resurrection is to overcome the power of sin and death, and thus giving hope to humankind. The verse from Corinthians holds great significance for Christians, so much that it is inscribed on the tombstones of many who have died. Indeed my siblings chose this verse for my late father’s headstone because my father lived his life fully believing that he, as a Christian, would eventually rise to eternal life. Easter is celebrated with much joy by Christians because it was the events marking Easter on which our beliefs are grounded and from which we draw courage and hope that good will never be defeated by evil. It was said by Apostle Paul that if ‘Christ has not been raised, our preaching is useless and so is our faith’ (1 Cor. 15: 14-17). In the context of the nation and the world we are living in today, the essence of the Easter message is even more relevant and significant to us. Looking at what is happening – so much suffering and pain caused by man’s greed for wealth and power – sometimes one cannot help but despair that for many, it pays to be evil. However, we have been forewarned that there will be persecution and suffering in this world but that in the end, evil, sin and death will be defeated, as Jesus has paid the price for the victory of good over evil. On the cusp of the most important elections in this nation, many of us are doing our part to ensure that good and honest representatives will be chosen to form the government so that we can put an end to greed, corruption, oppression and persecution. It is time for a brand new start and responsible citizens must come out to make sure that good will triumph in this nation. MALAYSIA has a statelessness problem, but not in the way that many expect. Stateless persons in Malaysia are not foreigners, migrants or even “illegals”. They are born and bred in Malaysia. 6. some refugees and migrants. Malaysia’s federal constitution plainly states that every person born within the federation and is stateless after the first year of their birth is entitled to citizenship automatically. Undoubtedly, there is current legal debate about whether the federal constitution renders citizenship in this manner, culminating at Malaysia’s highest court on April 2. In resolving the differing interpretations, however, Malaysian lawmakers should apply the plain meaning rule by using the ordinary meaning of the language of the constitution. The Malaysian government has read in requirements such as the burden of a stateless person to try to obtain citizenship elsewhere before applying for citizenship in Malaysia (especially where one parent of a child possesses foreign nationality). These kinds of requirements are not written in the text of the constitution and are also an unfair requirement given that many stateless persons are not foreigners or those that crossed borders to enter Malaysia. Many are born here and have made their lives in Malaysia. Beyond looking at the face of the constitution then, there are other compelling reasons to interpret the constitution to confer automatic citizenship to stateless persons born in Malaysia: they are Malaysians in every sense except on paper. The automatic right to citizenship applies to persons in five of the six categories of stateless persons in Malaysia. Of these six categories, five of them involve persons born within the federation of Malaysia. This fact alone demonstrates that for the majority of stateless persons in Malaysia, they have a genuine connection to the country and therefore an automatic right to citizenship under the federal constitution. Some of the persons have an added genuine link to Malaysia: they also have a legal parent (biological or adopted) that is a Malaysian citizen. An important consideration is that in at least four of the six categories, the majority of stateless persons involve children. One poignant example is Rosiah Abdullah. I had the pleasure of meeting this 20-year-old, Muslim, straight-A student who was born in Malaysia, abandoned and adopted by a Malaysian citizen. Rosiah was lucky because most stateless children cannot go to school, and if they do, they cannot take exams. She was an exception, and yet even though she is fortunate to have education, she is still at a disadvantage due to her lack of citizenship. She has known no other home than Malaysia. She wants nothing more than to have the opportunity to go to university and become a contributing member of Malaysian society, but her denial of citizenship prevents her from doing so. Her status of stateless is through no fault of her own. Rosiah has applied for citizenship three times in eight years and she does not know why her application has been denied. She turns 21 at the end of the month and will enter her adult life, but will she be allowed to become a Malaysian citizen? I also met one father, a Malaysian citizen, whose daughter is stateless. He married an Indonesian citizen and shortly thereafter, his daughter was born in Malaysia. Before his daughter was born, this father tried to register his marriage, but was told by government officials to do it after the birth of his child. Officials assured this father there would be no problems. This was a fatal decision as without the registration of his marriage, his daughter was considered “illegitimate” and could not inherit her father’s citizenship. This father expressed deep regret as had he known that his child would be rendered stateless, he would have made every effort to register his marriage. The child was born in Malaysia, has one Malaysian parent and has only known Malaysia to be her home. This father has applied for citizenship for his child three times with no success. Each time, he did not receive any reasons why his application was denied. As a result, his daughter cannot attend school. Through no fault of the child, she is being punished for an inflexible system that has labeled her as “illegitimate” and stateless. The term stateless is often intertwined with the terms foreigners, migrants and “illegals,” but research on stateless persons in Malaysia show otherwise. Stateless persons in this country are those that have a deep and genuine connection to Malaysia. They are persons who became stateless not because they crossed borders, but because there is a lack of political will to regularise their entitled citizenship status and also a lack of assistance on the part of government officials to assist stateless persons in a humanitarian manner. They are stateless not because they are undeserving or because they are cheats or deviants. They are stateless because of bad luck, unfortunate circumstances, and the lack of understanding of the processes and documentation needed to obtain citizenship. Most of all, they are stateless because the state refuses to acknowledge in law they are members of Malaysian society. Malaysians have a vested interest in making sure their fellow compatriots obtain citizenship. Without it, generations of children will be denied education, health care and job opportunities – all necessary to promote a healthy economy. It is a social problem, one that will cost Malaysians because in the end, it is Malaysians who will have to take care of the uneducated, the unemployed and those that come into conflict with the law. It is not sufficient to say that Malaysians should follow human rights law or should be compassionate. It is about the rule of law in Malaysia; applying the federal constitution fairly, equally and plainly to confer citizenship to those that are entitled to it. * Jamie Chai Yun Liew is an associate professor at the University of Ottawa, Faculty of Law (Canada). 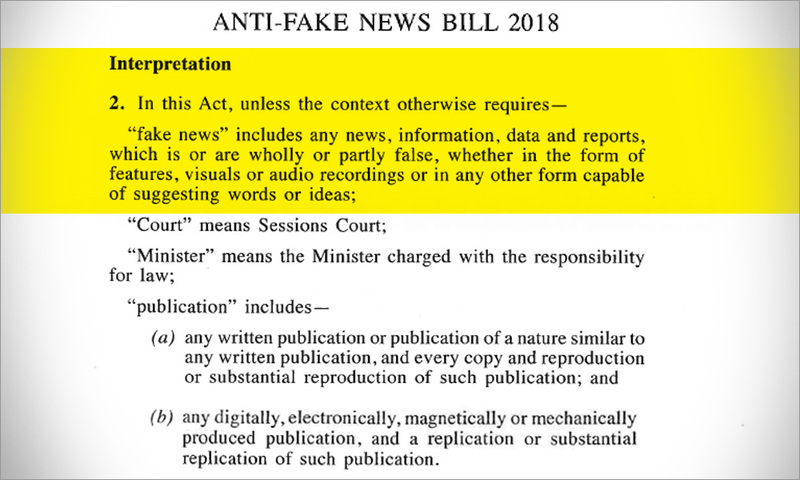 The Anti-Fake News Bill will be unconstitutional if it is passed by Parliament and made into law, former Federal Court judge Gopal Sri Ram said. However, Sri Ram, now a practising lawyer, said it may depend on how the Federal Court looks at the matter (if there is a challenge). He gave two reasons why he personally thinks the proposed law is unconstitutional. 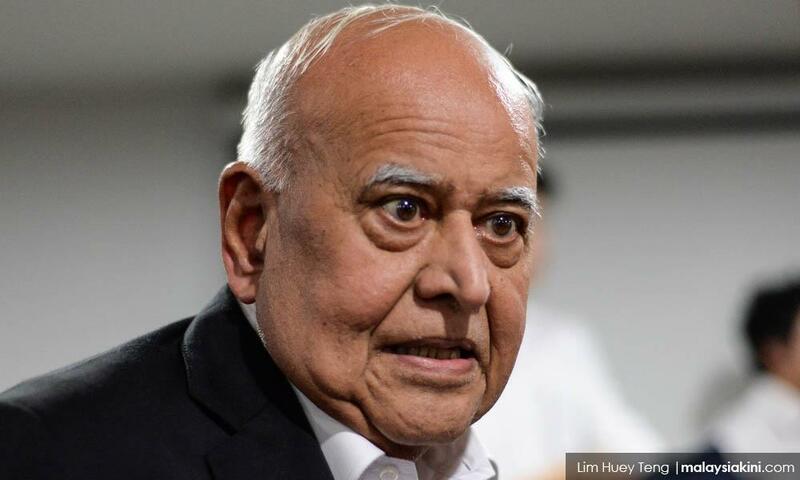 "First, it is vague and uncertain and therefore it offends the Rule of Law, which is part of Article 8(1) and forms part of the basic structure of the Federal Constitution," Sri Ram told Malaysiakini. Article 8 concerns equality, where sub-section (1) states that all persons are equal before the law and entitled to equal protection of the law. 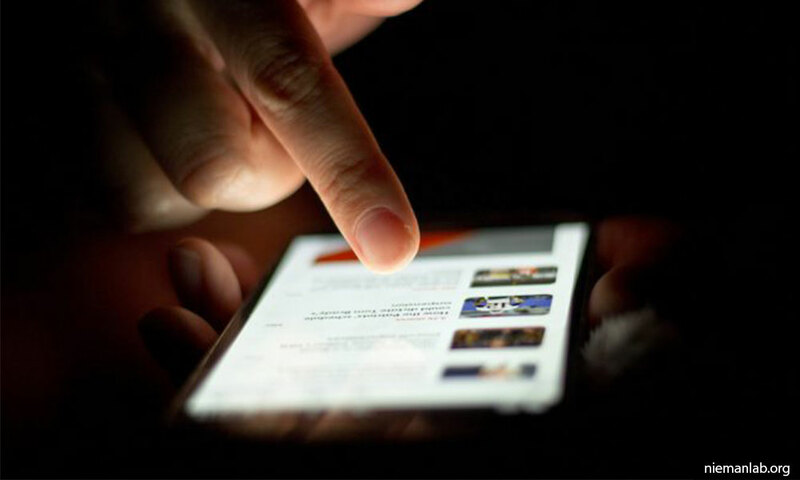 "Second, it is a disproportionate response under Article 10(2) because there are other laws that criminalise such conduct, for example the Malaysian Communications and Multimedia Commission Act. Also, sufficient protection is available under the law of defamation," Sri Ram added. Article 10 (1) stipulates that everyone has the right to freedom of speech, expression, assembly and to form association but subject to clauses (2) (3) and (4). (c) on the right conferred by paragraph (c) of Clause (1), such restrictions as it deems necessary or expedient in the interest of the security of the Federation or any part thereof, public order or morality. The law of defamation, Sri Ram referred to is the country's Defamation Act 1957. 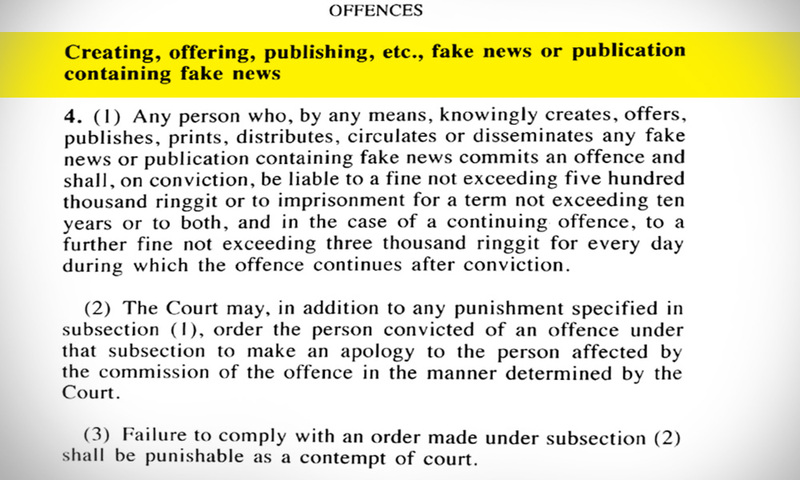 Besides this, criminal defamation is also punishable under the Penal Code. Articles 5 to 13 are under Part II of the Federal Constitution and these stipulate the Fundamental Liberties of every Malaysian. Sri Ram qualified his opinion that it may depend on how the apex court looks at the new law. "If it takes the approach it took in the Semenyih Jaya Sdn Bhd case, then it will strike down the Act. If it takes the approach in the Azmi Sharom case, then it may uphold the Act," he opined. In a landmark decision made in the Semenyih Jaya case last year, the Federal Court ruled that that the court's power for judicial review is essential to the constitutional role of the courts and inherent in the basic structure of the constitution. That unanimous decision, written by Federal Court judge Justice Zainun Ali, states that judicial independence and the separation of powers are recognised as a basic structure of the Malaysian Constitution, where under Article 121 (1) the constitutional role of the civil courts is as a check-and-balance mechanism. 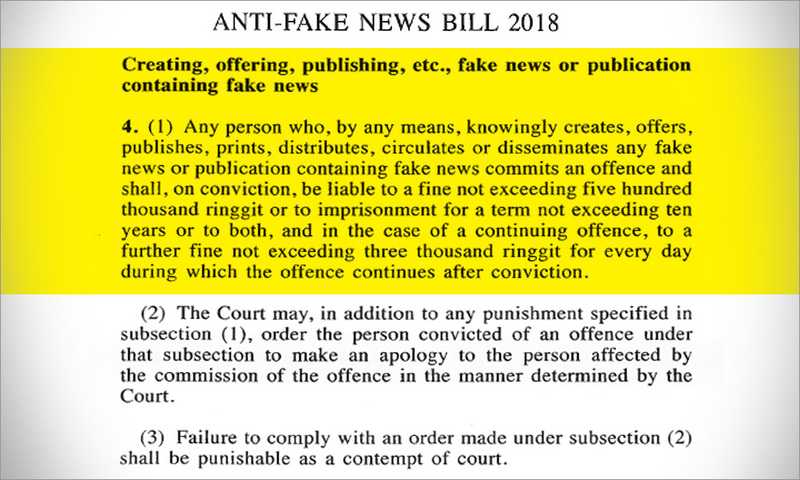 Another lawyer, Syed Iskandar Syed Jaffar Al Mahdzar, also questioned who would get to determine what is false news, for this is not stipulated in the Anti-Fake News Bill presented to Parliament. 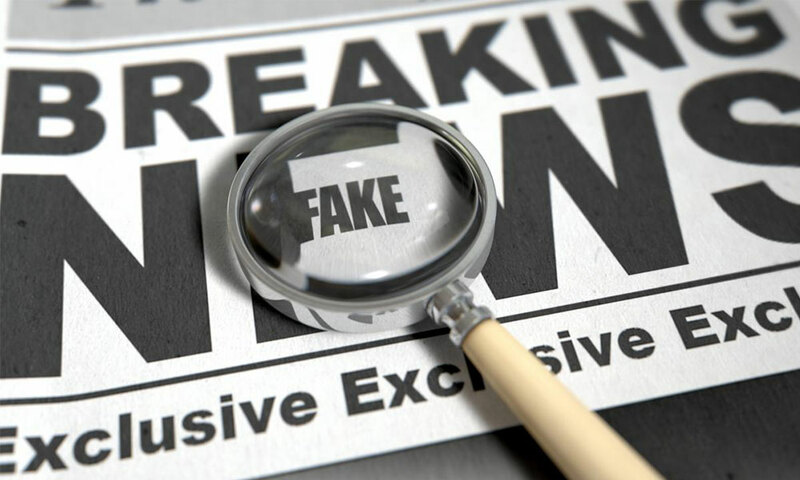 "The question of fake news… the question is who gets to decide what news is false, either wholly or partly. That is a valid question and cause for concern," Syed Iskandar said. The controversial bill was tabled for its first reading yesterday and already many quarters, especially lawyers, lawmakers and media practitioners, have questioned it. 1. ABOLISH GST AND MAINTAINING BR1M. 2. STABILISE THE PRICE OF PETROL AND RESTORE PETROL SUBSIDY ACCORDINGLY. 3. 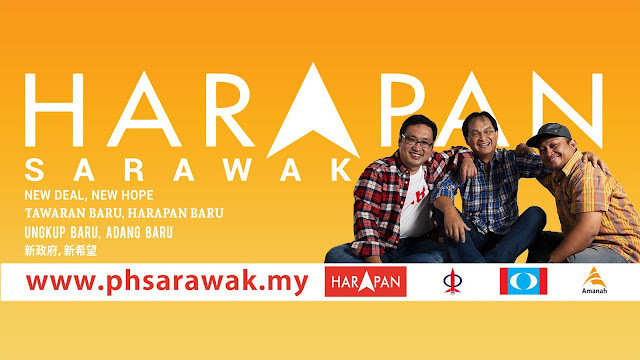 RETURN 20% OIL AND GAS ROYALTY AND 50% TAX REVENUE COLLECTED IN THE TERRITORY OF SARAWAK TO SARAWAK. 4. RESTORE DECISION RIGHTS OVER EDUCATION AND HEALTH TO SARAWAK. 5. BUILD CIVIL INFRASTRUCTURE TO ALL LONGHOUSES AND VILLAGES, AND SUPPLY BASIC AMENITIES LIKE TREATED WATER AND ELECTRICITY TO ALL AREAS IN SARAWAK. 6. PROVIDE 100,000 JOBS FOR SARAWAK’S UNEMPLOYED YOUTH. iii. Ensure independence of institutions like the Judiciary, the MACC, the Election Commission, etc etc. 1. NGAPUSKA GST ENGGAU NGETANKA BR1M. 2. NGATURKA REGA PETROL LALU MULAIKA SABSIDI PETROL NGENA AGIH TI BETUL. 3. MULAIKA 20% ROYALTI MINYAK ENGGAU GAS ENGGAU 50% ASIL CHUKAI TI DIULIH ARI MENUA SARAWAK PULAI NGAGAI SARAWAK. 4. MULAIKA KUASA SENENTANG ATUR UPIS PELAJAR ENGGAU ATUR UPIS PENGERAI NGAGAI SARAWAK. 5. NGAGA PUGU INFRASTRUKTUR NGAGAI SEMUA RUMAHPANJAI ENGGAU KAMPUNG ENGGAU NYENDIAKA AI PAIP BERESI ENGGAU KARAN API NGAGAI SERATA MENUA SARAWAK. 6. NYENDIAKA 100,000 PENGAWA KUSUNG NGAGAI NEMBIAK SARAWAK TI BEDAU BISI PENGAWA. iii. Nerantingka adat ngambika sistem Hakim (Judiciary), Upis Pemansik Makai Suap (MACC), Upis Pengawa Bepilih (EC/SPR) enggau iya ti bukai ulih bejalaika pengawa enggau lurus. 1. HAPUSKAN GST DAN MENGEKALKAN BR1M. 2. MENSTABILKAN HARGA MINYAK DAN MENGEMBALIKAN SUBSIDI PETROL BERSASAR. 3. MENGEMBALIKAN 20% ROYALTI MINYAK DAN 50% PENDAPATAN CUKAI WILAYAH SARAWAK KEPADA SARAWAK. 4. MENGEMBALIKAN HAK KEPUTUSAN DALAM PENDIDIKAN DAN KESIHATAN KEPADA SARAWAK. 5. MEMBINA INFRASTRUKTUR AWAM DAN MENYEDIAKAN KEMUDAHAN DASAR SEPERTI JALAN KAMPUNG DAN RUMAHPANJANG, BEKALAN AIR TERAWAT DAN ELETRIK DI SEMUA KAWASAN. 6. MENYEDIAKAN 100,000 PEKERJAAN UNTUK BELIA SARAWAK YANG MENGANGGUR. iii. Pastikan institusi-institusi yang bebas seperti Kehakiman, MACC, SPR, dan lain lain.